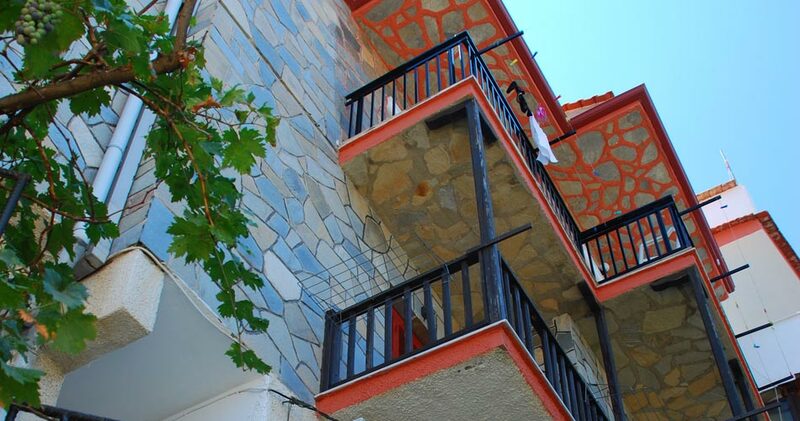 Welcome to Pension Dimitris, a family business located near the sea in the laid-back and picturesque village of Skala Maries, Thassos. 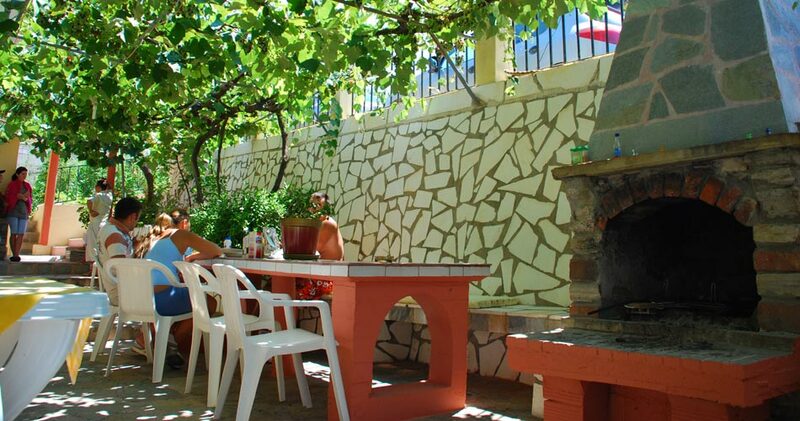 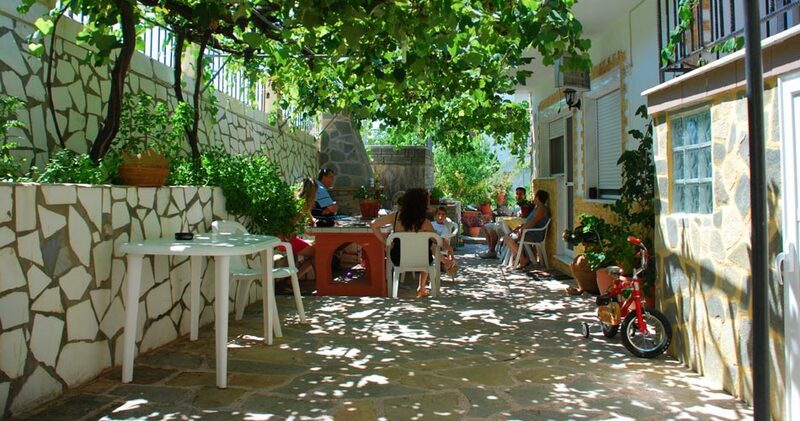 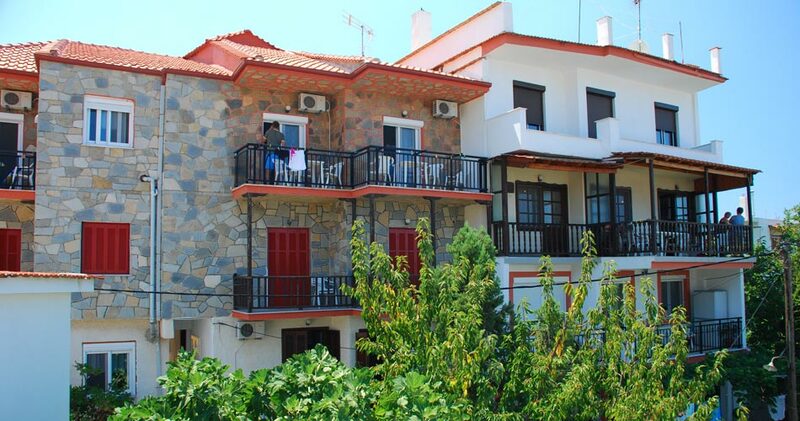 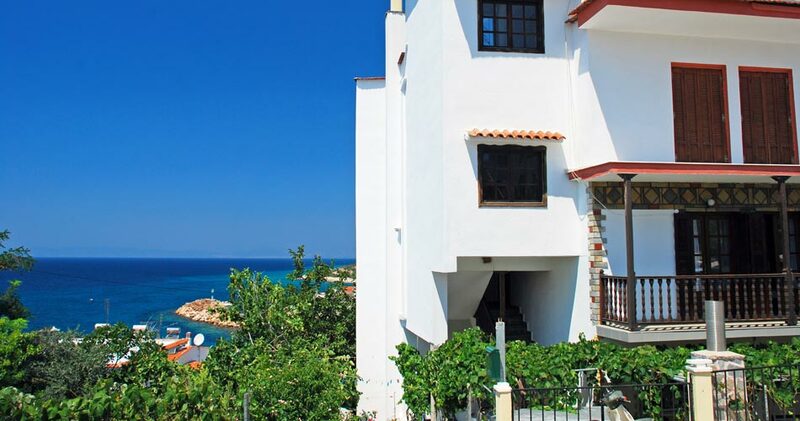 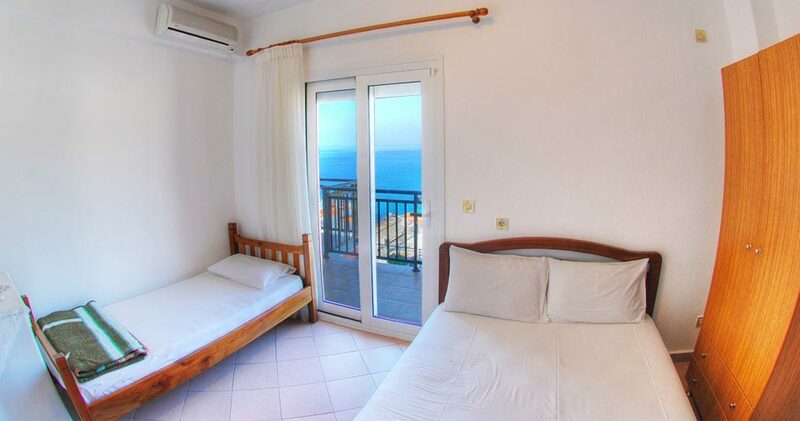 We are located on a hilltop with a magnificent view overlooking the beautiful bay and coastal village of Skala Maries. 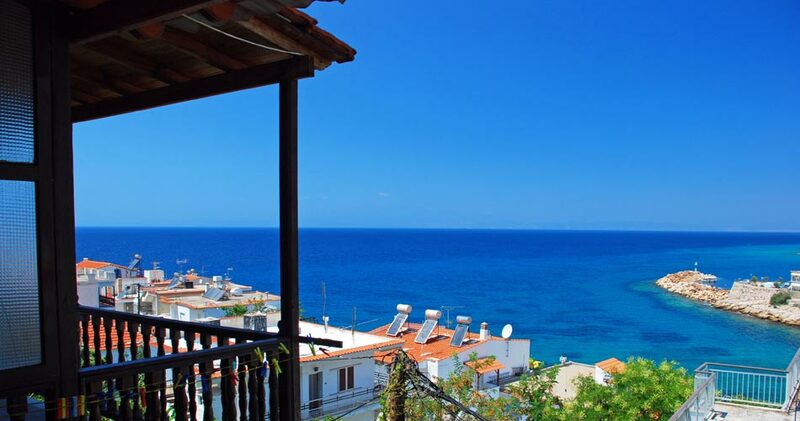 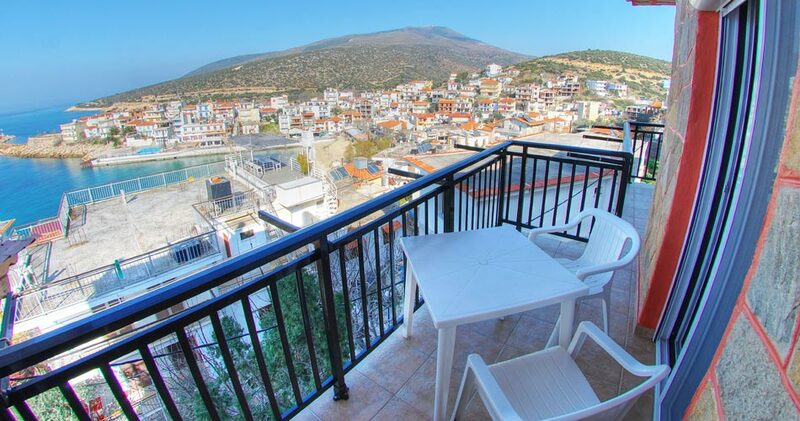 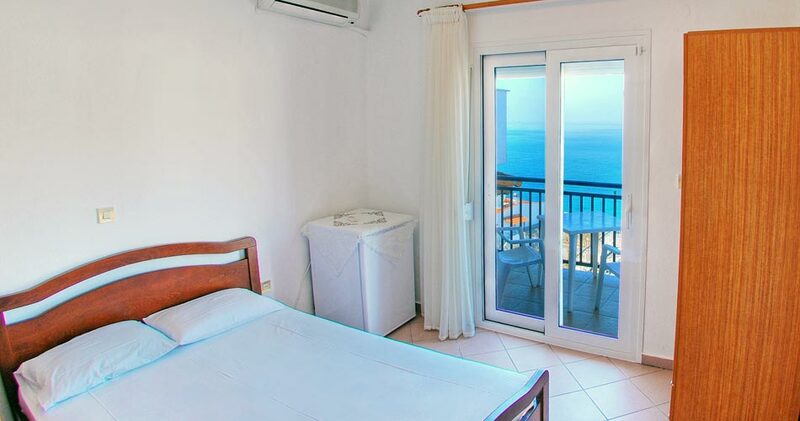 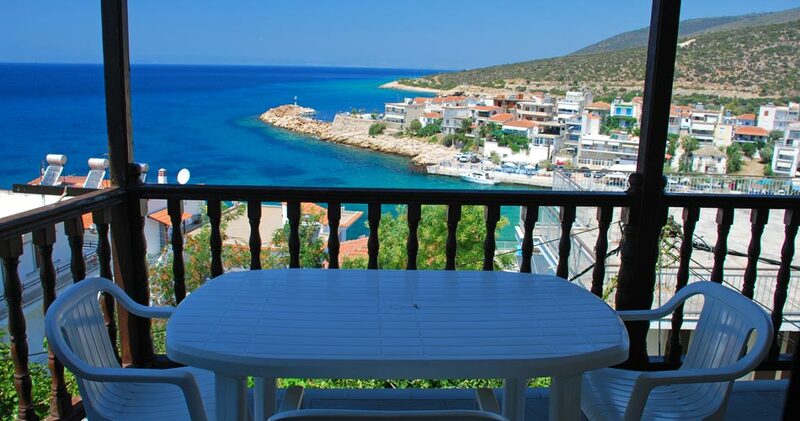 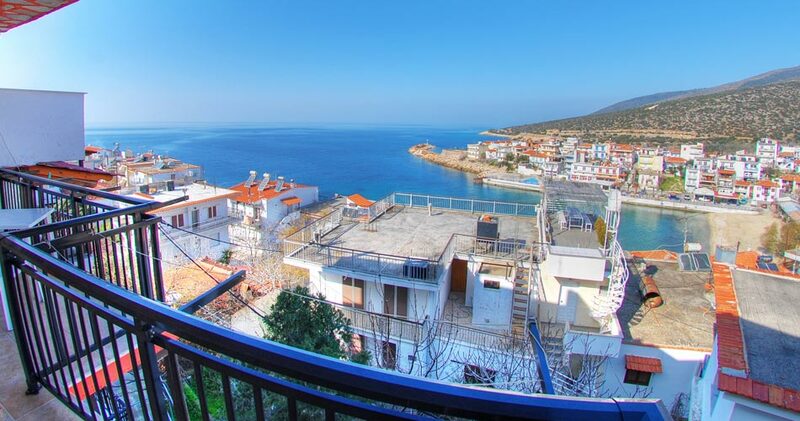 All of our rooms have a private balcony with a wonderful view either to the mountains or to the sea, giving our guests a sense of calm and an authentic taste of the exotic Greek island way of life. 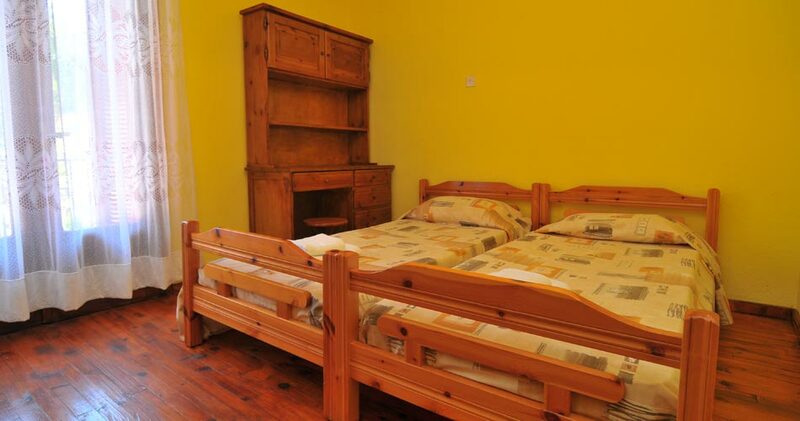 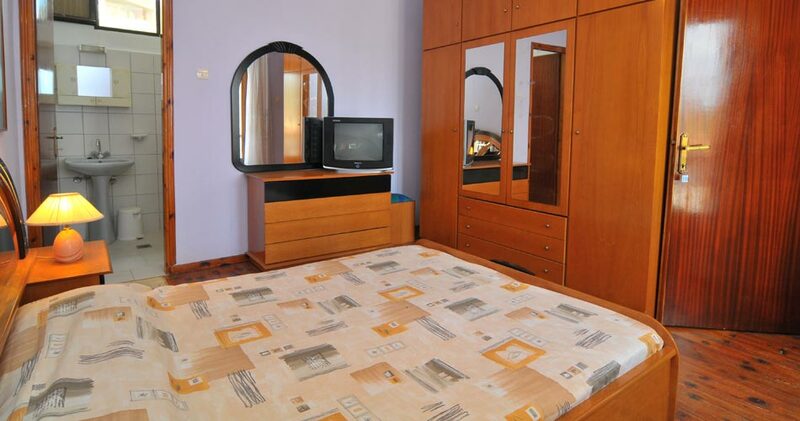 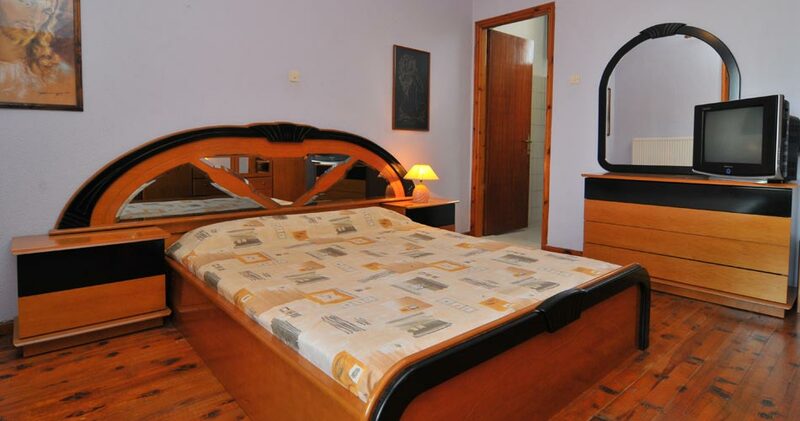 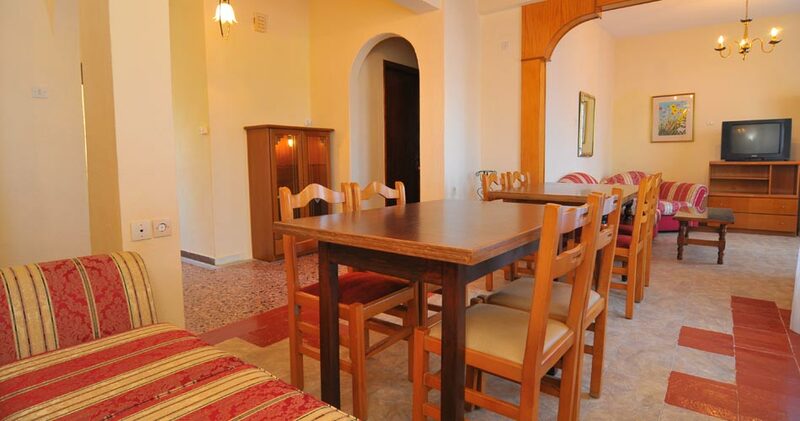 We offer rooms, an apartment and warm hospitality so that you may enjoy a comfortable stay on our emerald island. 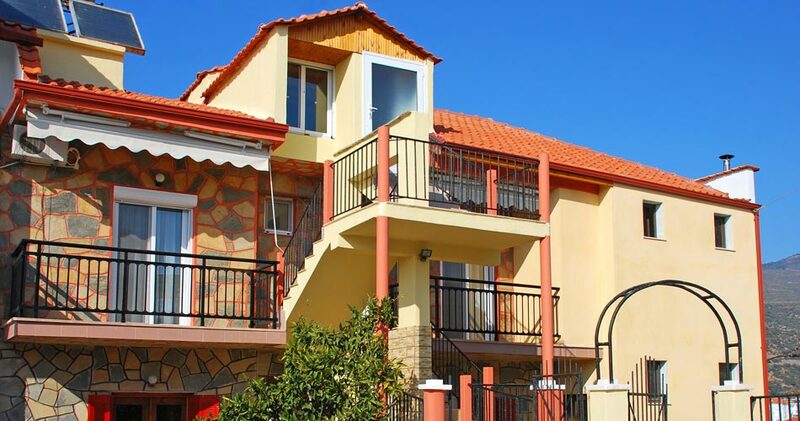 There are two common kitchens, one on each floor, and a barbecue grill in our quiet garden where you can relax and enjoy a meal with your family and friends. 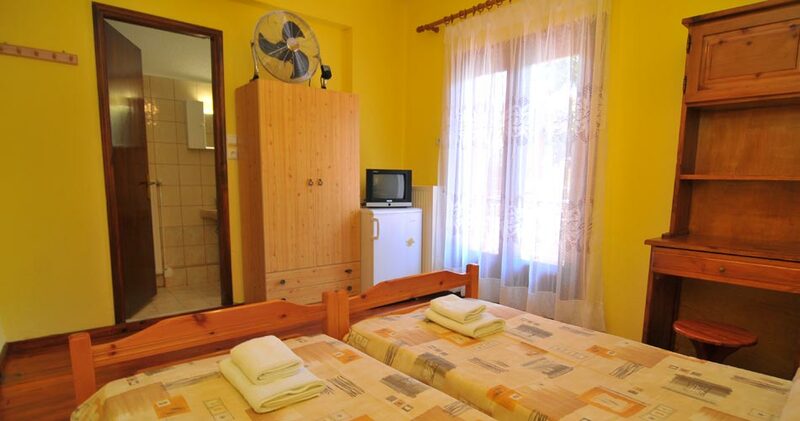 If you have a need to wash any clothes during your stay, you may feel free to use the washer that we have available, for no additional charge. 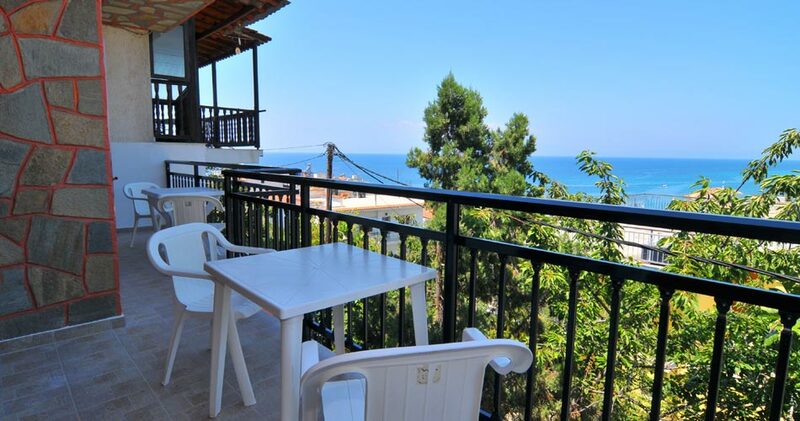 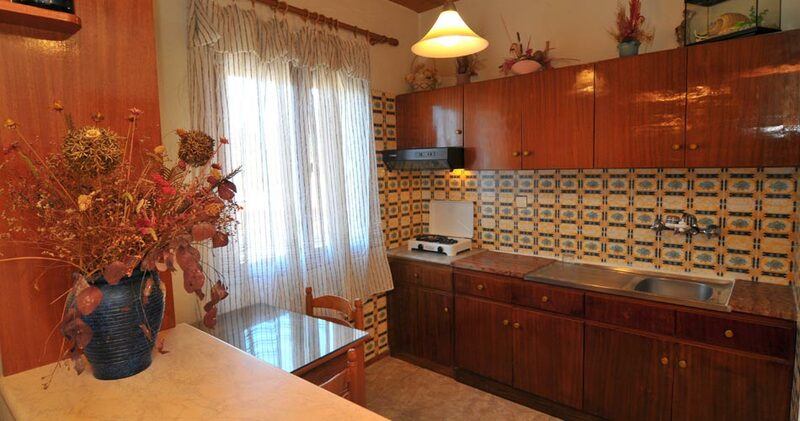 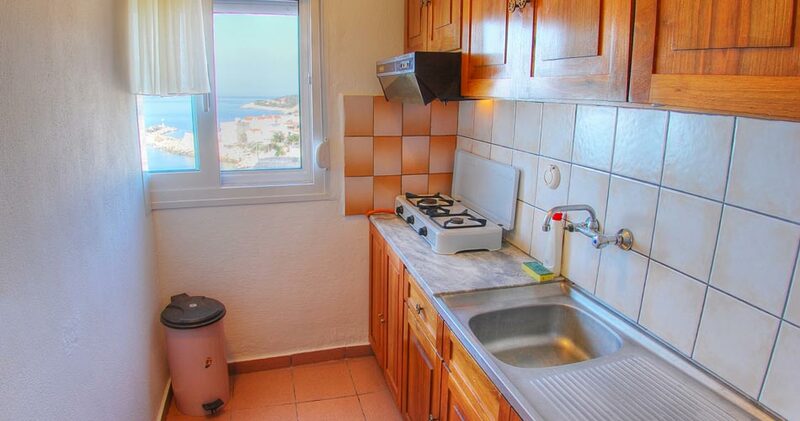 Our pension is located close to the sea as well as near the center of town where you will find two supermarkets, a pharmacy, bakery, pastry shop, internet cafe, an all-day cafe, a playground, and more, just a short walk away. 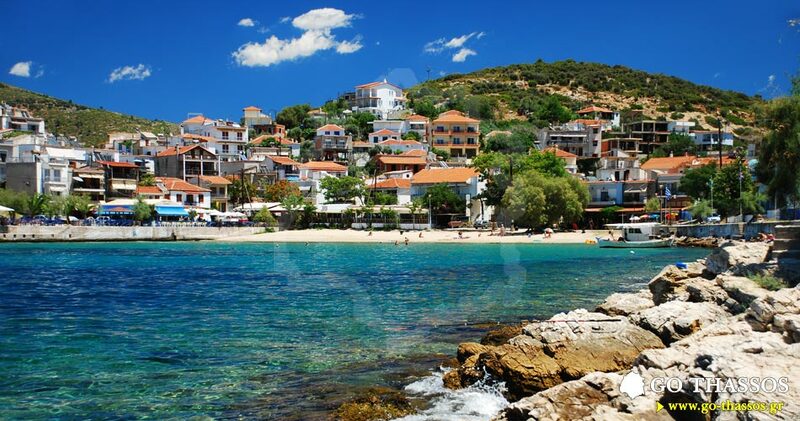 Skala Maries has three excellent beaches, one in the center and the other two hugging the edges of the village. 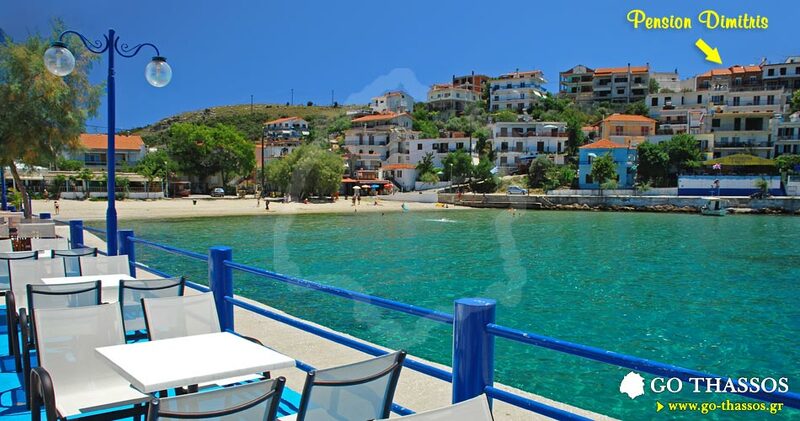 In the center of Skala Maries there is a line of traditional restaurants and cafes along the beach, and walking along the coast offers many wonderful sights to see. 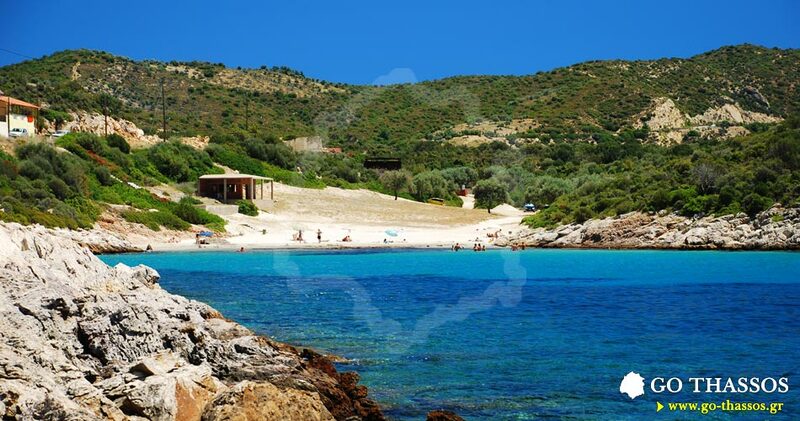 There are numerous places in the area that are ideal for swimming, fishing and hiking. 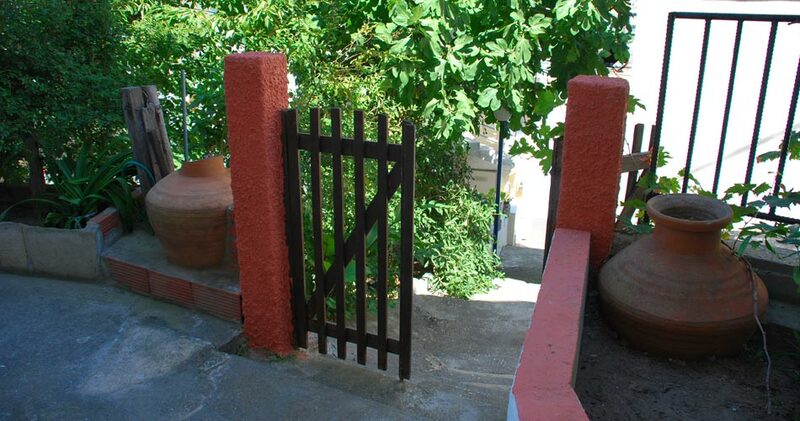 We hope to welcome you. 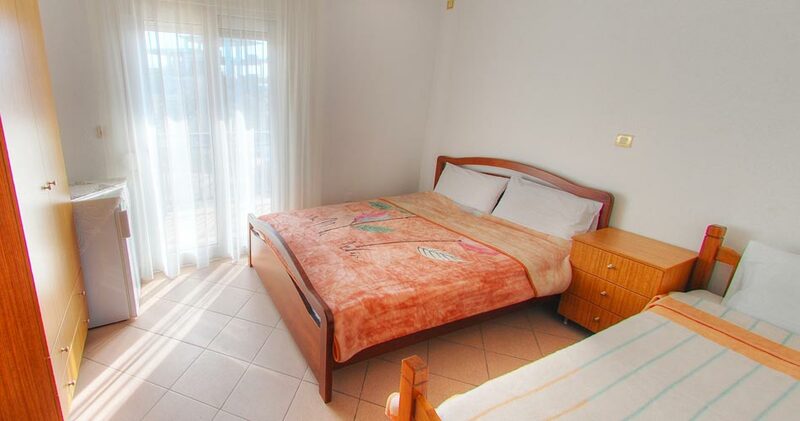 Sleep 7 nights, only pay for 6 - 1 night FREE.